Long practices and performances can be taxing on the body, so it is important to purchase comfortable and supportive music chairs. 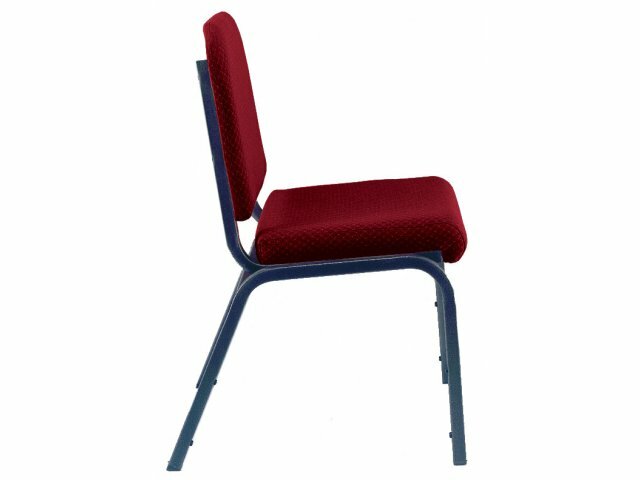 KFI Upholstered Musician Chairs are ideal for any budding musician. They feature comfortable 2” upholstered waterfall seats, which alleviate strain on the back of the knees. The forward tilt of their fully padded backs relieves body strain. A durable build ensures that musicians will enjoy these music chairs for many years. Their frames are constructed from 18-gauge square steel tubing with a rear leg bar for added support. The right musician chairs are sure to enhance your students’ experience from the first rehearsal to the encore performance. Attractive Colors: The black textured frame finish is complemented beautifully by a selection of upholstery colors. Thickly Padded: These chairs have 2"-thick upholstered seats and fully-padded backs for ultimate comfort. 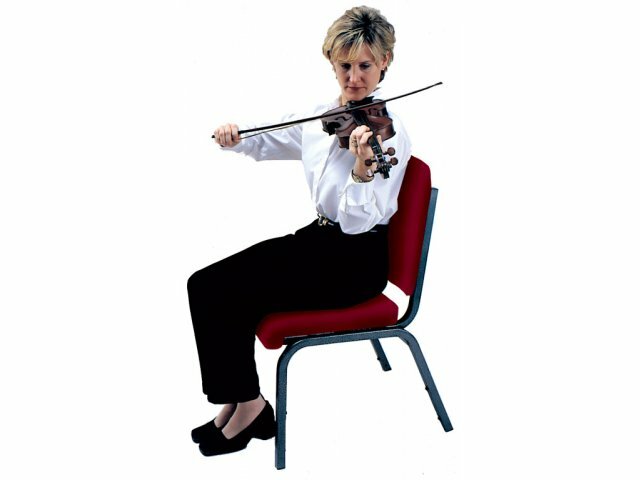 Pain Relief: The slight forward-tilt 95Â° back-to-seat angle offers musicians relief from the upper body pain that comes with supporting instruments during seated concerts. Reduces Strain: A waterfall seat minimizes pressure on the back of the knees. 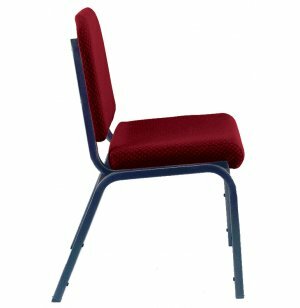 Durable Support: These chairs feature 1" 18-gauge square steel frames with a ¾" rear leg bar for superior support. Stackable: Stack 6 to 8 chairs high for easy storage or transport. Chairs include stack bumpers to prevent scratches.